Mark Muckerman is the VP of Sales at Bloomberg Government. Previously, he held sales and sales leadership positions at Dun & Bradstreet for 29 years. Fred Diamond: Why don’t you tell us a little more about you that we need to know? Mark Muckerman: Thank you, Fred. Looking back on a career, I’ve been selling a long time. 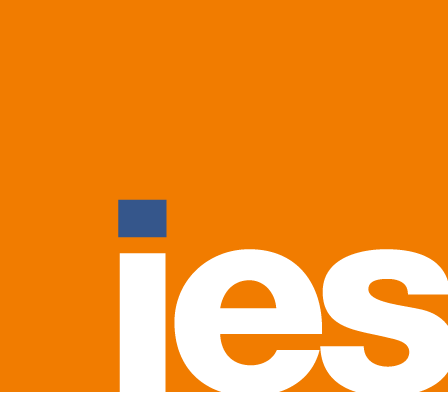 I have pitched products, I have sold features and benefits and consultative solution selling and sold into the commercial and government sectors. I’ve been very fortunate, I’ve had a career that has given me some really tremendous and interesting opportunities to travel, to grow, to succeed and to fail and to learn sometimes the hard way, but also then to lead and teach and coach, I love doing that now. I started at an entry level position with Dun & Bradstreet, I was three weeks out of college with little sense of direction and my father, who was a corporate guy, brought me one ad – back in the days, a newspaper – and said, “Here, get a job at this company, you’ll learn a lot. You don’t have to stay there your whole life but rent’s due at the end of the month.” I went in and did my interviews and after 28 years I said, “Dad said I didn’t have to stay there all my life” so I’ve started on something new, I’m really enjoying it. Fred Diamond: Why don’t you tell us a little bit about what you sell today? Tell us what excites you about that. 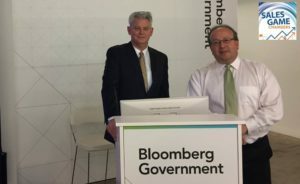 Mark Muckerman: At Bloomberg Government we provide our clients in the government contracting space with the intelligence, the insights and the analysis to enable them to be more successful in their government strategy, their go to market and their capture efforts. By helping them incorporate our advanced contract intelligence assets into their process, they gain a competitive edge and operational edge into that government contracting marketplace. As far as what excites me about it, what we get to do is help out clients do better, to grow and to compete and succeed. If we’re good at what we do, we enable them to be great at what they do and from a selling perspective it’s a pretty cool job to have in anything. Fred Diamond: You said you sold to government contractors. Everybody from Lockheed all the way on down, or what’s the typical size of one of your customers? Mark Muckerman: It is the whole spectrum. We play with the biggest of the government contracting space all the way down to small startups who are looking to get a foothold and break into that government arena, and that’s a big piece of what we do because they don’t have the experience or the history or the resources to do the intel and the research involved in that. That’s where we play a part. Fred Diamond: Again, you mentioned you went into sales right after college. Why don’t you tell us about some of your first few jobs in sales? Mark Muckerman: I have done everything, I was in an entry level job and wanted to make a change for work-life balance before there was such a thing and a coworker said, “There’s a sales opening in our New Orleans office” so I applied and I got the job. I found that I liked it and was pretty good at it, so it stuck. I have done cold call, bird dogging as a new business rep, I’ve managed portfolios, I’ve done strategic accounts, complex, sales, I’ve done it all and in a number of different arenas had different levels of sales management, domestically and internationally. It’s been a really great ride of learning and it just hasn’t stopped. Fred Diamond: Now you’re at Bloomberg Government, but again we mentioned you were at D&B, Dun and Bradstreet for about 28 years. Just since I’ve brought it up a couple of times and I’ll probably refer to it again, tell the audience what you sold at Bradstreet in case they don’t know what you sold. Mark Muckerman: Then as now, I have been in the information and data business my entire life. In one discipline or another, it’s taking information and helping clients whether they’re commercial, government oriented, federal state, local and now government contractors. It’s using information and using intelligence to do smarter business, better governance, more success, whatever the particular mission is. That’s part of what was keeping me engaged, is every time we talk to somebody the use case, the need, the problem to solve is a little bit different. Fred Diamond: Interesting. Why don’t you tell us some of the key lessons you learned when you first made that transition over to D&B? Of course, you said you did almost every job in the commercial sales world, so tell us what that looks like. Mark Muckerman: What have I learned? Every day I keep learning, most of my valuable lessons have come the hard way but they stick. The early ones that have stuck with me, and this is not some secret lesson, know the product. Know your product perfectly, if you do then you’re going to have the confidence and the credibility for whenever the opportunity presents itself. Secondly, really learn to listen to your customer. I didn’t learn that until I’d been in sales for several years, I was busy selling and not listening and I think that’s a common learning curve. C, learn to tell a good story, take the pitch and make it your own and make it relate to your customer, to your prospect and put the opportunity and the need into their world. If you can do that, you’ll generally more times than not get where you want to go. Fred Diamond: You mentioned the second thing was learn to listen, and that comes up not infrequently. It comes up at least every third or fourth podcast from some of the senior people that we’ve been interviewing. What have been some of your personal strategies? You mentioned that a couple years in, you realized you were just showing up, throwing up, trying to control the conversation but the savvy sales leaders, the ones that have made it to your level have all realized that it really is about listening. Give us some of your ideas, strategies on how you became a better listening, or how the people listening to the podcast can become more effective listeners. Mark Muckerman: I think it’s about learning the good habit but unlearning the bad habit. We’re trained, we’re taught to control the conversation, to steer the call and you reach a point when that doesn’t work for complex sales. If you want to have a career in sales, you evolve to that at some point and I was lucky enough to have a couple of really good bosses, one who was a great role model and a great example. I would be on the road with him and I was amazed at what we could do if we just listened. He was really good at establishing that rapport and we’re all about the cliché, “two ears, one mouth, listen twice as much” but it’s true. If you can discipline yourself to give your customer or give your prospect the opportunity to talk, they’ll talk and they’ll give you a ton of good insight. Fred Diamond: They probably want to tell you more than they want to hear listening to you. Tell us a little more about you, what are you an expert in? Tell us a little more about your specific area of brilliance. Mark Muckerman: Expert and brilliance are pretty heavy words to throw around, but I will take a stab at it. I think especially given what my career has been focused on, I have become an expert in how organizations – whether that’s customers or government agencies or even my own companies that I’ve worked for – can better use data and information and intelligence to operate more efficiently, more effectively whether that’s sales, operations, strategy. We are the data generation, we are in the information age and it’s cliché but it’s true. I’ve really, because of what I’ve had to do for the past 30 years, developed a deep and comfortable knowledge of not just what should be done but what still can be done. Brilliance? I think if there’s one thing I’m pretty good at is taking a complex situation or a complex problem and just breaking it down into digestible parts, whether it’s a customer problem, a team coaching development problem, trying to figure out the next 5 year strategy for growth and success. Life gets complicated on its own and I’ve had a pretty good run of success at keeping it simple. Fred Diamond: Everybody we’ve interviewed on the Sales Game Changers podcast has had some great mentors, some people who’ve helped them along the way. You’ve alluded to a couple already, why don’t you tell us about an impactful sales career mentor or two and how they impacted your career? He just showed up every day and did the job and led by example. I think all of us have had bosses that we look at and go, “I definitely do not want to be that guy if I’m ever in that position”, but if we’re lucky enough to find somebody we say, “I really want to be that guy, I want to do it like him”, I had that. He led in all those things I talked about earlier, he knew the product perfectly, he really listened well to customers, prospects and then he was able to take all that and turn it into a compelling story that was a win-win, and that’s what sales is really about. That boss to team member relationship became a peer relationship and now over the years, we’ve just stayed friends which is really neat. Fred Diamond: Do you consider yourself to be a mentor as well? We’re going today’s Sales Game Changers podcast interview from the offices of Bloomberg Government, it’s located on K Street and I call it Downtown DC. There’s a lot of energy, there’s a lot of sleek lines, there’s a lot of food so obviously you have young sales team, if you will. Do you consider yourself a mentor? Do a lot of the people who work for you now ask you mentoring type questions, “How should I do this, how should I do that”? Mark Muckerman: They do, I really like being in that role and that’s one of the things that attracted me to make the change after 28 years. It was to come into an environment that was young and aggressive and hungry and creative, and not to over dramatize it but yearning for somebody who has a little bit of experience, who can provide that sounding board, that guidance, that, “Here’s my situation, what are some options on how I might handle it?” and I love doing that. I mentor every day informally, as my job, it’s my choice, it’s my responsibility. Fred Diamond: Mark, what are the two biggest challenges you face today as a sales leader? Mark Muckerman: If I had to narrow it down to two, I think from a business perspective in an industry with a product line that is focused on data and intelligence, the challenge is the commoditization of data. As a seller of insight, we’re constantly battling the false perception that data is now just an interchangeable commodity, “it’s free on the internet, I can Google it, all data is equal”. All data is out there, but it’s not all equal and it’s not all accurate. That’s why we and companies like us are in business, there’s quality behind the content. I think from a management or leadership perspective, the second challenge is for myself having to evolve as a leader and a coach and a mentor to an increasingly millennial workforce. I have had to work on how I craft a vision and communicate with my team and that’s had to evolve and how I plan for the future with a workforce that is far more dynamic and transitional than perhaps it was 10 or 20 years ago. Fred Diamond: What are some of the things that your peers need to be aware of that you found is critical when managing a younger sales organization, especially today? Mark Muckerman: I read a lot about it and maybe I’ve heard a podcast or two on it because it is a challenge, but I think one of the things that really stuck with me as I came across it was we talk about managing millennials. An article I read pointed out that they don’t want to be managed, they want to be mentored and that has really shifted how I approach it not just because of two questions ago, but they don’t want a boss, they want a guide. They want a sounding board, they want a teacher, they want an environment that challenges them, it’s a very different dynamic. I think that the employees of today, the younger generation of young rising professionals which is what we all want and that’s the future of business, they look at business differently. They have a different perspective and a different sense of time and scope and we have to adapt to that. Fred Diamond: What does that mean, different approach to time and scope? Mark Muckerman: In a world where everything is instantaneous, they think quickly, they act quickly and that’s neither good nor bad but it’s different than the way a lot of especially older or pre-existing brick and mortar companies have thought in a digital world. We have to not only adapt to that but also provide the balance to them that helps them understand the other side of that sense of time or that time scope coin. Fred Diamond: That’s interesting. In your space, again you were at Dun & Bradstreet for years and I actually started my career at McGraw-Hill Publishing. I was in one of their data companies, if you will and we would publish loose leaf books and every month we would do an update. I was an editor, by the time I wrote it till the time it got on the customer’s desk and he or she opened it and put it in the loose leaf books, it must have been three months. You’ve obviously probably also dealt in similar times and now people expect information, the world that you live in, right away at their fingertips. Mark Muckerman: It’s the instant gratification. If I have to wait 1.9 seconds for a Google search to come back, I’m out of patience and we have to figure out how to manage that. Fred Diamond: What’s the #1 specific sale success or win from your career that you’re most proud of? Mark Muckerman: I think in my last role, probably the most proud of, we were engaged with a state workforce development agency and this was post-recession, they were trying to find a better way to combat or mitigate layoffs and workforce loss. We were able to work with them using data and intelligence to create a predictive analytics model on the employer community that enabled them to target at-risk businesses, businesses that might be more prone to downsizing events or layoff events or what had adversely affect the workforce. We were able to work with them and build a system that very successfully allowed them to pre-identify at-risk employers so they could bring state resources to bear, to support and avoid loss of jobs which affects the work force and all the ripple effects to families and things like that. In the first year of the program, there were millions upon millions of dollars in savings from layoff aversion and they projected an impact value north of $100 million dollars. The dollars are great, but the impact when we think about these are people’s jobs and people with families and kids and all the other things that ties into, as I talked about earlier, to be able to solve a problem and really do something cool for a client, that’s a neat thing to be part of. Fred Diamond: It sounds like you’ve spent most of your career helping companies sell to public sector. Government, education as well or primarily government? Mark Muckerman: Some education, most of mine, I did some commercial, some B to B but the past 18 years before coming to Bloomberg Government was directly dealing with government clients as a government contractor and then making the switch over here to be gov was a very easy transition because I was a client of Bloomberg Government before I came over. It’s a community I was very familiar with. Fred Diamond: Before I ask you one final question before we take a break, we have a lot of people listening to the podcast around the globe. They sell to other markets, if you will. What is it about selling to the government that they may not know? Of course we know about the process, but you’ve devoted a good part of your career helping governments be more effective, obviously by giving them data to make better decisions. What is it about that market that you devoted a large part of your career to? Mark Muckerman: I think it’s challenging, it’s interesting, it’s unique but part of the attraction for me – and I can look in the mirror honestly – it’s a little bit of ego. It’s a very unique and specialized world. Knowledge, marketplace, community and it’s very different, we used to kid about it that it’s “secret and weird” and in some ways it is, the language, the vernacular and I enjoy that. I like the uniqueness of this arena because it’s different than the other 99% of the selling world. Again, that’s what keeps it fun and interesting and you have to unlearn everything commercially to learn a new world and a new language and a new community. Fred Diamond: Again, you started with Dun & Bradstreet right after college. Did you ever question being in sales? Again, you’ve had a nice long 30 year career, a lot to go. Do you ever think to yourself, “It’s too hard, it’s just not for me”? Mark Muckerman: No, I never have. I love being in sales, I always have. I love everything about it, I love the challenge, I love the hunt, I love the success, I love the failure, I love the mystery, it’s a great time and I could not think in hindsight of choosing a different career. I fell into sales just as a matter of luck and circumstance and I couldn’t imagine doing it differently. Fred Diamond: What was your degree in college? Mark Muckerman: I ended up with a degree in communications with a focus in advertising. Story boards, graphics, just about the time that computer based design came out, so I was a dinosaur when I got my degree. Fred Diamond: Mark, what’s the most important thing you want to get across to the junior selling professionals listening to today’s podcast to help them improve their careers? Mark Muckerman: Insincerity is transparent, just be honest. Every prospect, every customer that you talk to will know when they’re being worked and you don’t win that way. Just be honest, be genuine about what you do and what you know and what you don’t know, and you’ll make better sales with better satisfaction and in the grand scheme, better customer attention. You’ll build that credibility. Fred Diamond: Great answer. What are some of the things you do to sharpen your saw and stay fresh? Mark Muckerman: I try to look and always stay accessible to new sources, books, articles, podcasts. I still read a lot, I don’t think that’ll ever change but for me, the most important thing is about getting out on the road, being out in front of customers, being out with my team. I spend most of my time in those setting just listening, I contribute where it fits but I just stay tuned into what’s going on, what’s working, what’s not, what’s changing. You just can’t do it from a desk. Fred Diamond: Tell us about a major initiative you’re working on today to ensure your continued success. Fred Diamond: Mark, sales is hard, it’s gotten harder. People don’t return your calls, they don’t return your emails. Why have you continued? What is it about sales as a career that has kept you going? You’ve answered this before a couple times, but just summarize it here. What is it about sales that really gets you juiced, that keeps you going every day? Mark Muckerman: I like it because it’s hard. Years ago, a guy I worked with shared his perspective and I remember it. We chose this environment when we chose this profession, and that has stuck with me for nearly 20 years. Hard is what makes it worth doing, what makes being excellent at it special. If it was easy, anybody could do it and sales is hard, it is an art, it is a skill, it is a craft and to make it a career, it is a calling. What keeps me going is the opportunity to always tackle something new every day. I want to be the problem solver for my customer or my team or my company to figure out the challenge of solving their problems with what I do, with my product, with my experience. At the end of the day, I just want them to go, “I’m glad he was part of my day today because I’m better off for it” no matter how that takes shape. Fred Diamond: I want to ask you one final question before I ask you for your final thought to inspire our listeners. You mentioned before when we talked about the career, you talked about how you embraced the failure as well and no one’s ever addressed that on the Sales Game Changers podcast. What does that mean when you said that you also liked the failure of the job? Mark Muckerman: I touched on it a little bit before. For me, I learn by doing, I’m an experiential learner and you can tell me the stove is hot but sooner or later I have to touch it to prove it to myself. I think that if you can have an environment – and going back to my mentor, if you will, he created an environment that allowed me to fail, he gave me the latitude to be creative and be aggressive and try things. As long as they were thought out, it’s OK to fail. I obviously don’t want to make failing a habit, but that’s where I learn the most, being able to try things and if they succeed, why do they succeed? But if they fail, that’s OK and I try to pass that on to my teams because I don’t want them to be afraid to explore their boundaries just because it might not work. Fred Diamond: Mark, we have listeners around the globe listening to the Sales Game Changers podcast. Why don’t you give us one final thought to inspire them today? Mark Muckerman: A sales career is what you make of it. There are not too many professions that offer the opportunity to solve problems for other people, to make people’s lives better, to wake up every day with a new day of opportunities, to grow, to learn, to succeed, to fail. Generally speaking, to get paid pretty well for doing it. I say embrace it, it is not a job, it is an adventure if you look at it the right way. It’s like getting paid to take a carnival ride every day, just buy your ticket, fasten the lap belt and enjoy the ride.